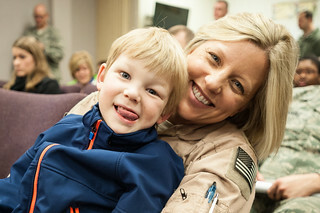 KENTUCKY AIR NATIONAL GUARD BASE, LOUISVILLE, Ky. — The third rotation of more than 40 Kentucky Air National Guardsmen departed here today for deployment to an undisclosed air base in the Persian Gulf, where they will fly airlift missions in support of Operation Freedom’s Sentinel. Freedom’s Sentinel is the follow-on mission to Operation Enduring Freedom. It focuses on training, advising and assisting Afghan security forces; and on counterterrorism operations in Afghanistan. Kentucky’s adjutant general, Maj. Gen. Edward W. Tonini, thanked the deploying Airmen for their continued commitment to military operations all over the world. The director of the state Board of Elections, Matt Selph, also was on hand to wish the Airmen farewell as a representative of Alison Lundergan Grimes, Kentucky’s secretary of state. 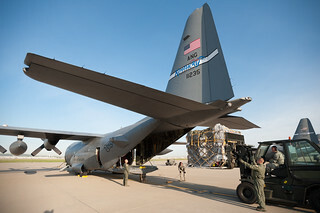 The Airmen, who departed aboard a Kentucky Air National Guard C-130 Hercules aircraft, will replace earlier rotations of Kentucky Airmen that deployed in February. 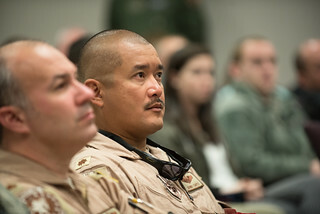 While overseas, the Airmen are expected to transport troops and cargo supporting a range of coalition military operations in the United States Central Command Area of Responsibility, which includes Afghanistan, Northern Africa and the Persian Gulf. Deploying Airmen include aircrew members, aircraft maintenance personnel and support staff. The mission is expected to conclude by early July. 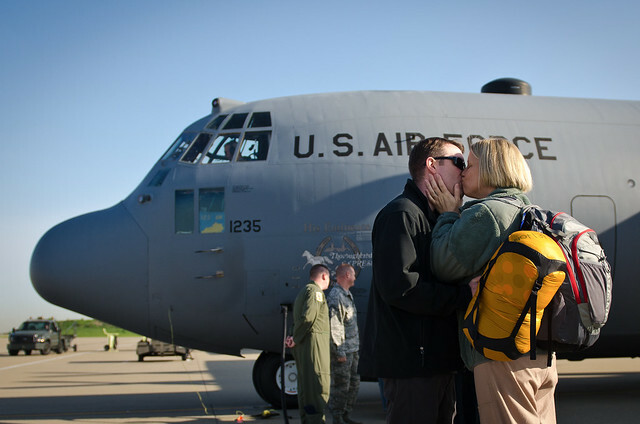 The deployment marks the sixth time in the past 12 years that the Kentucky Air Guard has sent its aircraft, aircrews and maintenance personnel to support U.S. military operations in the U.S. Central Command AOR. The wing deployed aviation assets there in 2003, 2007, 2009, 2010 and 2012, operating from multiple undisclosed locations and Bagram Air Field, Afghanistan. The wing’s non-aviation personnel also have been heavily engaged around the world since Sept. 11, 2001, logging thousands of deployments to dozens of overseas locations, including Iraq and Afghanistan. In October, more than 70 of the wing’s Airmen deployed to Africa to support Operation United Assistance, the international effort to fight the worst Ebola outbreak in history.